What is with this series and lackluster follow-up? It seems like whenever the show has this great momentum in its multi-part stories, and you're excited to see where they end, they don't quite stick the landing. Or at least, they don't stick it as well as they should. It was the same in the previous arc, which dismissed all the political gaming of the anti-immigrant Calvess in favor for a (to be fair, awesome) showdown between the team of Lupin, Goemon, and Albert and the assassin squad. But at least that made up for it by getting to see Lupin and Albert focus their skills together to bring down the greater threat. 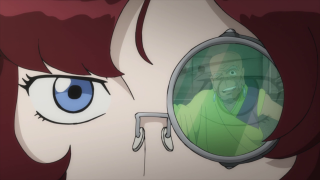 This episode, on the other hand, completely dispenses with the Lupin/Fujiko relationship and the Fujiko/Amy partnership material for a fairly traditional, even somewhat subdued conclusion that was mostly about the basic plot points and less about emotional or character depth as explored by the previous chapters in the arc. How do you go from the previous episode's examination of just why Lupin and Fujiko can't stay away from their mutal orbit, and Ami's view of their dynamic, to Amy having a schoolgirl crush on Lupin and relating it to Dolma's feelings for that CIA guy? It's just so... basic. Where's the boldness from the previous episodes? I know that Lupin III operates on status quo, but when you stumble over yourself just to get there, it's a little disheartening. A big theme of this story arc seems to be "the old ways vs the new", without really taking a particular stance. Dolma agrees with her reformist father's ideals, but is willing to side with the traditionalists in order to gain the power to make his vision of Padar come true. However, she is deeply offended by the High Priest's use of a fake Bloody Teardrop for their upcoming wedding/bogus coronation. I guess some traditions die hard. Or perhaps it's more outrage at the hypocrisy of the High Priest, who preaches the old ways, but has no problem utilizing retinal scanners and the like as long as it protects him personally. He turns out to just be a petty little man looking for whatever power he can grab and doesn't care how he gets it. 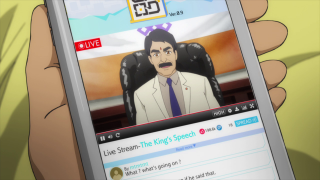 On the other hand, you have the king of Padar's bedfellows, the people of Shake Hands, specifically Enzo, who helps restore the country's internet for His Majesty's address to his countrymen. And yet, a sinister shadow seems to fall on the enlightened, tech-savvy ways of Shake Hands. Enzo himself advocates for the destruction of all borders, which unnerves the king, but we never get to see where that goes. 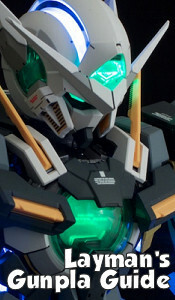 I can only assume there'll be more from Shake Hands in a later part of the series. 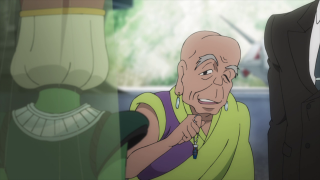 While modernism vs traditionalism (and the conflict between sovereignty and globalism) is a big theme of the arc, this particular episode's theme is first loves, as we discover that Ami is, in fact, in love with our boy, and Dolma had feelings for Agent Mack/Ugo. Now, I'm sure that Ami's feelings are at least somewhat genuine, because she sees Lupin as her rescuer, a mentor, and the only person who seems to see her not just as a tool but a talent, not as an object, but as a person. Sure, Lupin might sparse his language about it in a way that makes it seem like the appraisal of material treasure, but Ami knows what he means when he says that she's "valuable". With Dolma and Ugo, it's this weird, quasi-Stockholm Syndrome, whereas Dolma seems to have latched onto the blonde agent, convinced that he's a real ally. 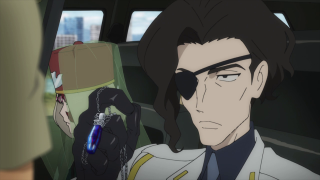 It's not clear whether or not Ugo actually felt the same or just wanted to prevent America from getting control of another country, sabotaging the CIA from within for Dolma's sake (and sacrificing his life to do so). I can't imagine her crush was ever really love, but then, even Amy's is a little suspect, and maybe she'll discover what her real feelings are the more she experiences the world. I'm still a bit disappointed that they never really resolved the Lupin/Fujiko subplot. Was it just there for Ami to witness Lupin's fitness for her (Ami) to love him? 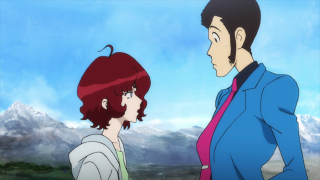 Was it Ami sizing up the competition (that is, Fujiko Mine)? 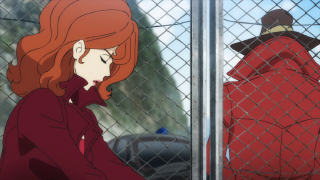 Can we really drawn any conclusions about where the relationship between Lupin and Fujiko is headed, or was this just a superficial flash in the pan solely of use to the storyline at hand? Even ol' Pops (what was he even in this for if he's not going to do anything?) is curious... as an expert in all things Lupin, of course. He's totally not in love with Lupin himself. Not at all. Anyway, a good story arc, and even good episode, but a disappointing finale for it, so it loses some points. Stick the landing next time!